We are a small family business, proud to provide Bristol and the surrounding areas with a 24hr locksmith service & Double Glazing Repairs. 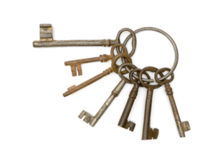 We can usually gain non-destructive entry when locked out so no need to replace your locks. We carry a wide range of stock for all doors & windows including UPVC Multipoint locks, handles, hinges, letter boxes, 5 Lever locks to Insurance Standard BS3621 & lots more. We replace misted or broken glass & realign dropped doors & windows. Please call for a free quote or advice. My mother, who has dementia, had lost her back door key. Dale turned up at the agreed time, opened the door and replaced the lock quickly and efficiently. Great customer service and really competent trader. I can't recommend Dale highly enough. He came out quickly to provide a quote for replacing hinges on double glazed windows and also to replace the handle on the patio door. He assessed all of the windows and quoted to replace only the hinges that really needed replacing. The quote was very reasonable. Dale came to undertake the work very shortly after that and did a great job, the noise and drafts from outside are now eliminated and the patio door handle now works perfectly. Dale was considerate, worked efficiently and cleanly, offered friendly advice for care/maintenance going forward and even fitted a hinge onto the bathroom window that will open wide enough to provide an escape route in the event of a fire. All in all a great job and highly recommended. Excellent, efficient and extremely reliable. Very pleased with our urgent job undertaken by Dale Clements. Will definitely use his services again whenever needed. We can recommend him to anyone. Great service, quality of work outstanding, very personable and professional. Window looks like new many thanks to Dale, what can we say punctual, reliable, reasonable price plus work completed with minimum fuss we are extremely pleased with the job and highly recommend Dale. Dale sorted out all those things that build up over time/ years...windows and doors that don't close properly, locks that stick and jam. We were thinking we were going to have to replace some doors and windows but Dale was able to repair and restore everything for a fraction of what it would have cost to replace them. Excellent workmanship, very reliable and punctual and really good value for money. We were lucky to meet him when he was sorting out our neighbour and got his card. He came round when he said he would and gave us a free and clear estimate of work needed. Then he did the jobs punctually on the agreed day. What more could you want! Brilliant.....job done...look no further than Dale! Dale came and unlocked two of our jammed double glazed windows and replaced the locks, fixed a third window and replaced the back door lock. He was super flexible when arranging times to come over and sorted the problems quickly and efficiently. When there was a snag with one window catching on a screw, he came over the next day and fixed it without fuss. On the way out he even noticed that our front door latch was loose and pulled out the screw driver and fixed it. Excellent Tradesman. Great guy. Would recommend to all. We called Mr. Clements because we had lost the key to a locked door. He came when he said he would,replaced the lock and tidied up.He was professional and efficient.I would recommend him. Had a problem with a window and saw Dale was a trusted trader.He responded immediately to my call and agreed to come at a time that suited me.To my surprise he said he could complete the job on his initial visit.He did a great job and I am very happy to recommend him.Thanks Dale.